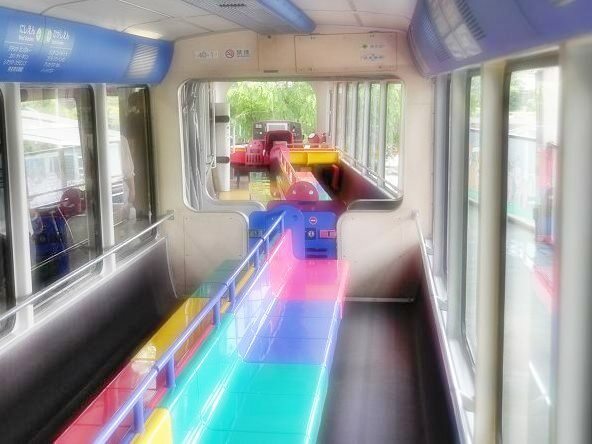 The Ueno Zoo Monorail Line is the oldest monorail line in Japan. 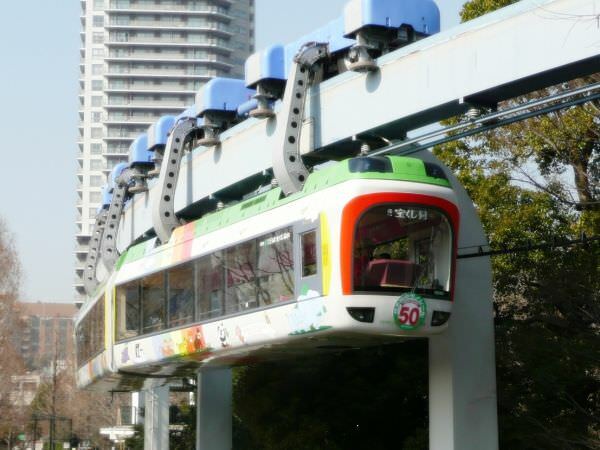 It runs only about three hundred meters in Ueno Zoo (refer to #369) and connects two stations (West Park Station and East Park Station) in the zoo. This suspended monorail line is modeled after the Wuppertal Suspension Railway in Germany, and opened in 1957. This line is the shortest as a monorail and the second shortest as a railway in Japan.